Remark can design, supply and install commercial lighting systems tailored to your premises. We also have years of experience of exterior and interior commercial LED lighting and commercial outdoor security lighting. Lighting for wellbeing has the most positive outcomes. Artificial light that adjusts for intensity and colour spectrum, mimicking solar light and darkness levels at different times of the day and night, is proven to support a healthy circadian rhythm. Human Centric Lighting puts focus on both the visual and non-visual effects of lighting. Not only do people need light to perform visual tasks, but light is also an important ‘time-reference’ for our internal body clock. Ideally, lighting in the workplace should encourage productivity in your workforce and provide a balance of natural and artificial lighting for employees to concentrate to the best of their ability for extended periods of time. Installing LED bulbs as your primary source of illumination really is one of the easiest and most effective steps you can take toward making your building more energy efficient and reduce your carbon footprint. LED lighting is around 80% more efficient and lasts 10 ten times longer than fluorescent lights. Your business will be reducing overheads at the same time as actively supporting the environment. With lighting accounting for up to 50% of a commercial building’s electricity use, the efficient control of lighting across all areas is a vital tool in reducing energy waste. With the use of Lighting Control, Remark can create a comfortable working environment for your employees and enhance your workspace. Make your buildings more intelligent with a Lighting Control Gateway. With lighting accounting for up to 50% of a commercial building’s electricity use, the efficient control of lighting across all areas is a vital tool in reducing energy waste. With a lighting gateway you can connect all of your lights onto the gateway and monitor them no matter where you are in the world. You will be able to see how your lights are performing, your energy management and more importantly if there are any lighting faults. The gateway keeps you in touch with your lighting at all times. This will reduce your overheads considerably, by reducing the need to provide emergency light checks as this is all done with the smart gateway. 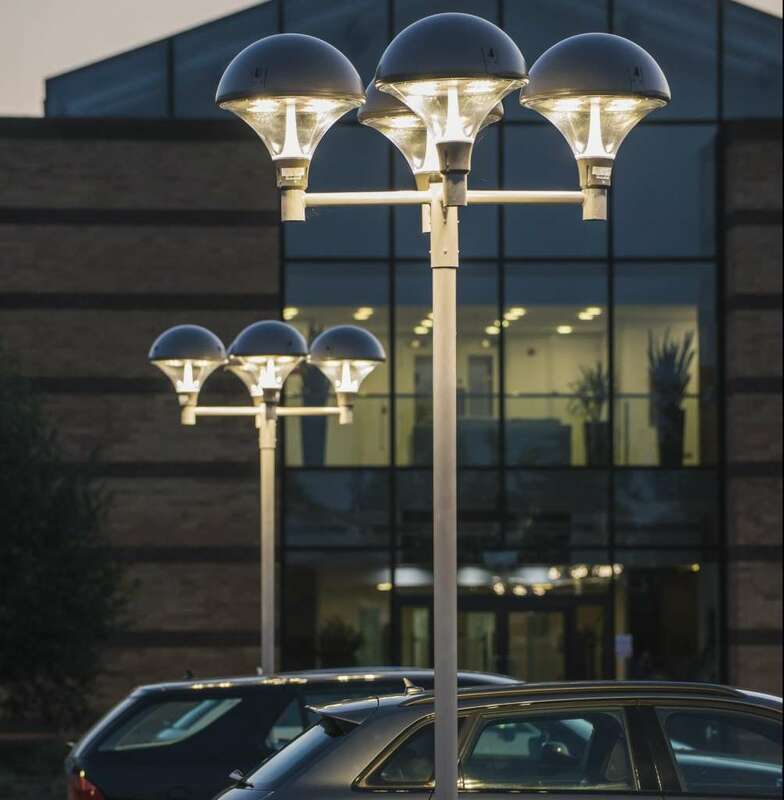 Well planned outdoor lighting around business premises can be an excellent deterrent to would-be criminals. The strategic positioning of energy efficient LED lighting can not only deter potential criminality but also improve the external appearance of your building – particularly through those dark winter months. LED lamps can be fitted as low-energy floor lights, floodlights, brick lights and motion sensors – and the wonderful thing is that it will save you money in the long term. Whether you are lighting an office, warehouse or factory, the Remark Group can help design the perfect solution for your business and create the perfect balance between artificial and natural light. For more information on Lighting Solutions and to see how Remark Group can make a difference to your business, call 0800 597 5558.